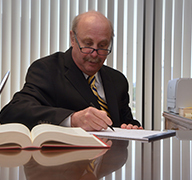 The Attorneys of Hohauser Kuchon can help you through the painful process of deciphering what, if anything, went wrong during your child’s labor and delivery. 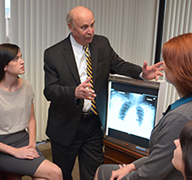 We have a wide range of medical experts with whom we consult in analyzing every case. A “birth related trauma” occurs any time a fetus or new born baby is injured during child birth. Oxygen deprivation is one common cause of birth injury. Lack of oxygen during child birth has been linked to cerebral palsy, brain damage, developmental/cognitive disorders, vision disorders and seizures. Other common causes of injury during child birth are the negligent use of forceps and vacuum. The negligent use of a forceps can cause skull fracture among other injuries. An improperly used vacuum may cause a brain bleed. Fortunately, the number of birth injuries has greatly decreased in recent years due to the development of guidelines, standards of care, monitoring techniques and equipment. Adherence to standards and guidelines and efficient utilization of monitoring techniques and devices can help prevent birth related injures or at least help the health care providers, including physicians, physician assistants, nurse practitioners, midwives and nurses, be appropriately prepared when they occur. Even while birth injuries have been greatly reduced in number (estimated to be 7 in 1,000 U.S. births), they wreak havoc on all involved. The injuries are often catastrophic to the baby, family and medical community. 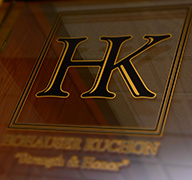 If your child has suffered a trauma during birth, contact Hohauser Kuchon today. Our experts are here to offer legal advice, counsel and support to help guide you and your family through this painful event.